Just in time for the season. If you like tomatoes like I do, you will love this tomato pie. 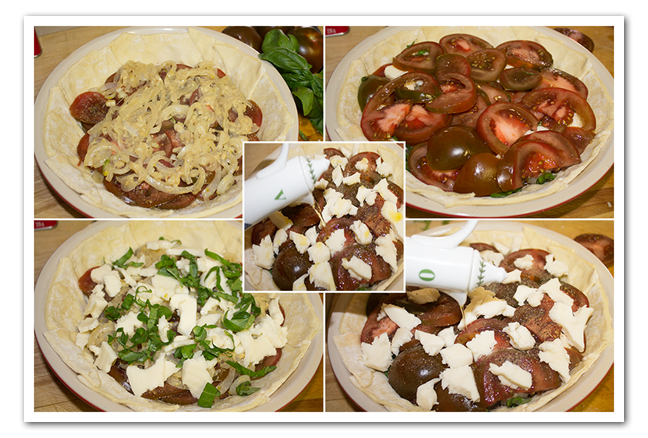 In this tomato pie recipe I used Kumato tomatoes. It’s not necessary to use these tomatoes, any tomato will do. 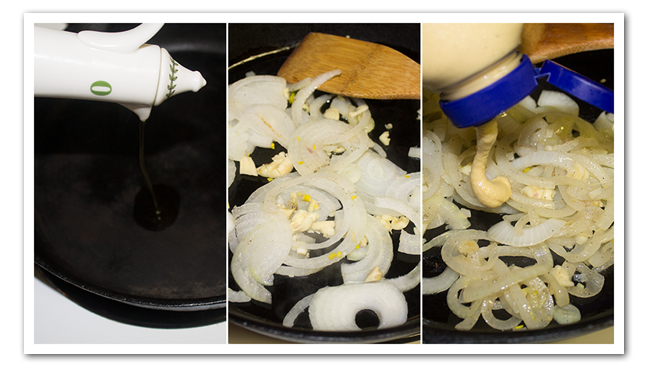 In a small pan, sauté the onion and garlic in 1 tablespoon of olive oil until translucent, add the 1 tbsp mustard and set aside. Put the puffed pastry sheet in a pie dish. Spread the onion mixture over the tomatoes. Add the mozzarella cheese and half of the basil. Layer the remaining tomatoes, and season with salt and pepper. Drizzle 1 tbsp of olive oil and vinegar over the tomatoes, top with the remaining basil. 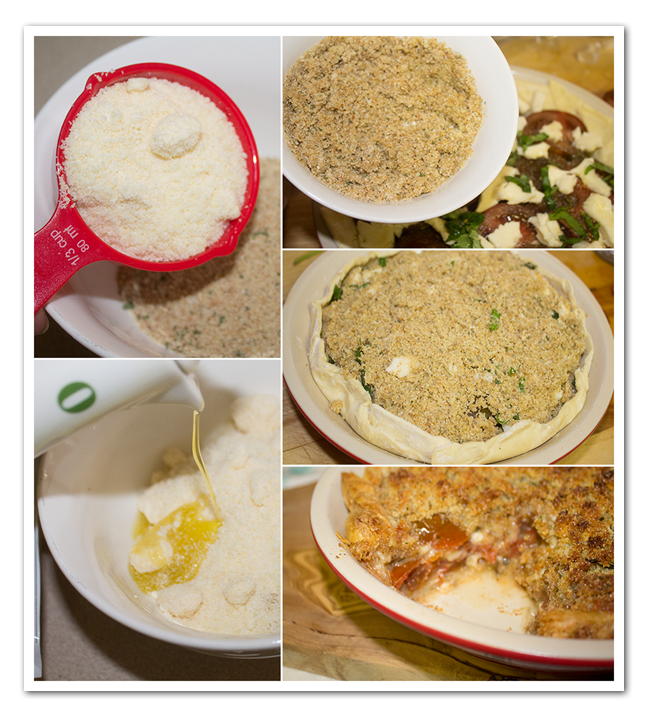 In a small bowl, combine bread crumbs, 2 tbsp of olive oil, and Parmesan cheese. Sprinkle over the tomatoes.Bake 30 minutes, or until topping and crust are golden brown. Just in time for the season. 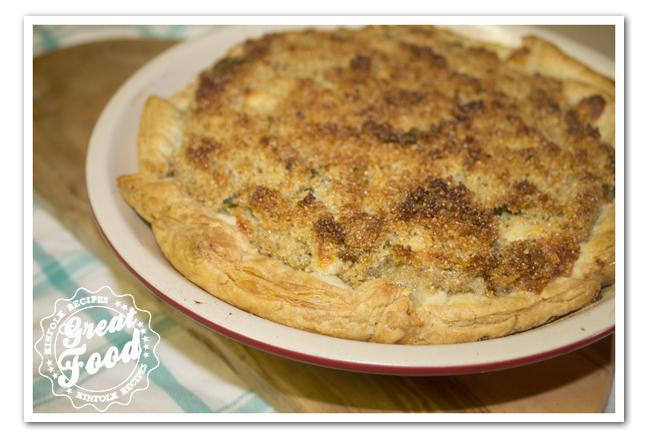 If you like tomatoes like I do, you will love this tomato pie. 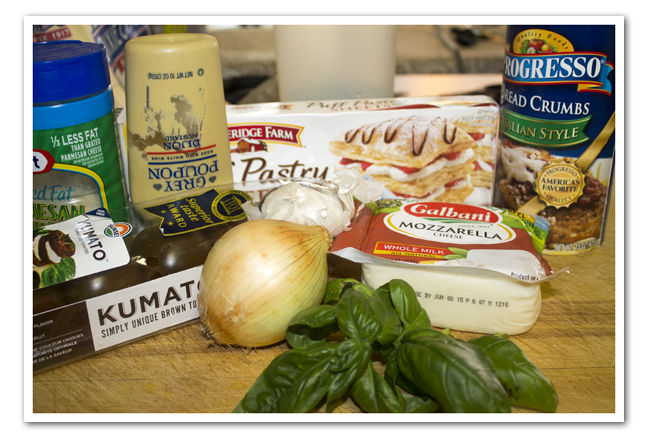 In this tomato pie recipe I used Kumato tomatoes. It's not necessary to use these tomatoes, any tomato will do. 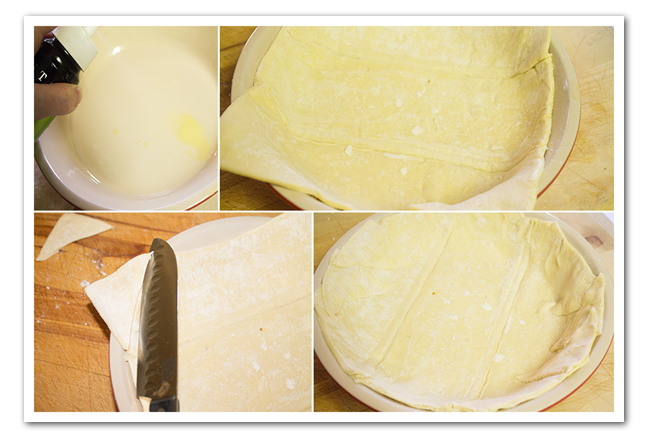 Put the puffed pastry sheet in a pie dish. 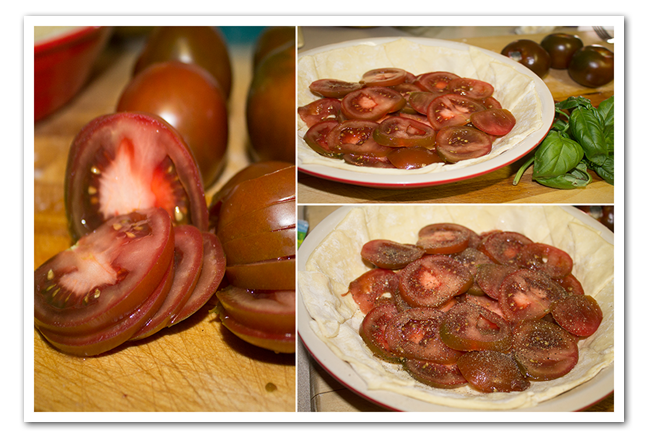 Layer in half of the sliced tomatoes, and season with salt and pepper. If you don't like a "juicy" pie, put you sliced tomatoes in a colander and sprinkle with salt. Set them aside for about 1 hours so the liquid can drain. Spread the onion mixture over the tomatoes. Add the mozzarella cheese and half of the basil. Layer the remaining tomatoes, and season with salt and pepper. Drizzle 1 tbsp of olive oil and vinegar over the tomatoes, top with the remaining basil. In a small bowl, combine bread crumbs, 2 tbsp of olive oil, and Parmesan cheese. Sprinkle over the tomatoes. Bake 30 minutes, or until topping and crust are golden brown.